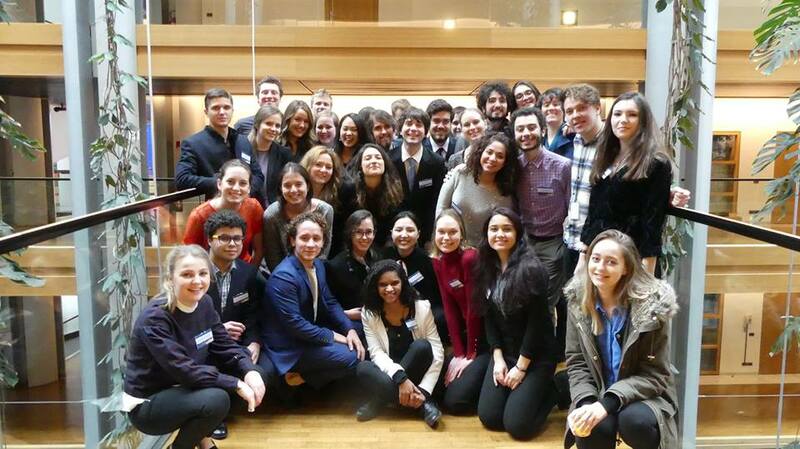 Strasbourg Institute of Political Studies’ international students in the European Parliament. As part of its commitment to excellence, the Strasbourg Institute of Political Studies has always been putting the emphasis on its students’ editorial skills which is a precondition to enter the Institute’s course and a transversal challenge in each and every sector of the Institute. The methodology of research is learnt throughout the five-year fulltime course of the Institute, especially thanks to the compulsory drafting of a dissertation in the 1st year (which is then optional in the 4th year). Moreover, some Masters' specialisations mainly prepare to research careers, especially in social sciences (Master's degrees “Political and social sciences”). As our translation work is concerned, it is based on the ever-greater willingness of the Strasbourg Institute of Political Studies to internationalise its course which, therefore, includes quality language courses along with a compulsory year abroad for every student while in their third year. Moreover, the Strasbourg Institute of Political Studies can call on a huge number of international native speaker students, whether taking part in an Erasmus exchange or not. Sciences Po Strasbourg Consulting provides professionals with its students’ editorial skills to write briefing notes, press kits and so on. Our students’ research skills can be used to produce press kits and thematic kits, to conduct a rigorous documentary research and to carry out field studies in accordance with proven methodologies. Finally, the wide variety of students offers numerous possibilities for high-level translation on mainstream or specific documents, particularly in relation to Strasbourg Institute of Political Studies’ courses (social sciences, politics, economics). Here is anon-exhaustive list of foreign languages available at the Strasbourg Institute of Political Studies : English, German, Spanish, Italian, Chinese, Russian, Czech, Polish, Norwegian, Finnish, Turkish, Japanese and Arabic.